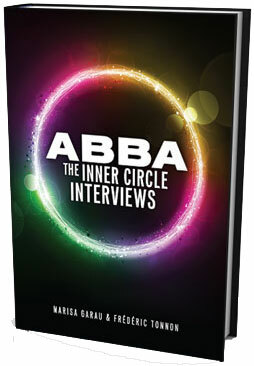 ABBA – The Inner Circle Interviews is a new book by Marisa Garau and Frédéric Tonan, authors of ABBA On Speaking Terms (Netherlands, in Dutch, 2002) and ABBA – Ihre ganze Geschichte (Their Whole Story; Germany, in German, 2005). The book is built around extensive interviews the pair conducted for their two earlier books, with 38 people who had worked with ABBA or the individual members since the mid-sixties discussing their personal memories and experiences. All the interviews were originally conducted in English, making this book their first untranslated publication. Interviewees include musicians, producers, colleagues, friends and others who worked with ABBA during the height of their career, those who collaborated with the members in various projects after ABBA, even a few whose involvement pre-dates ABBA. 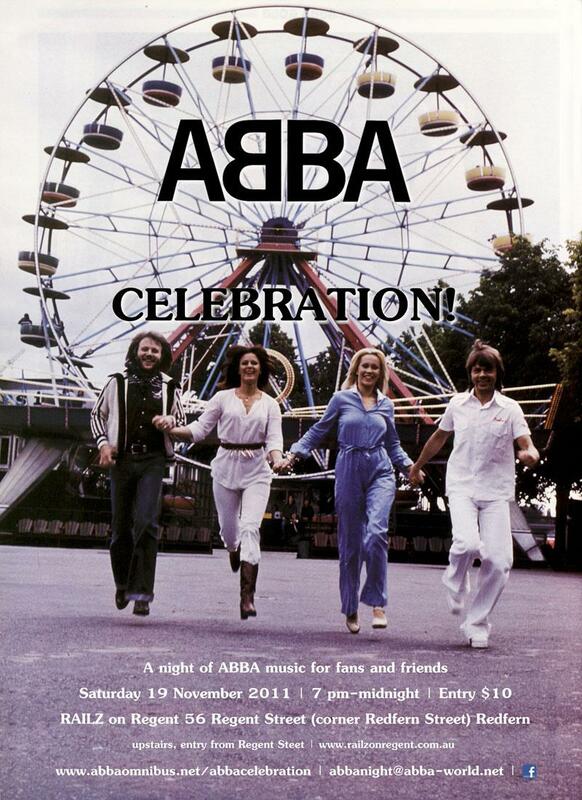 As the majority of those interviewed worked only with individual ABBA members after 1982, the story of ABBA as a group ends at page 92, with the remainder of the 230 pages dedicated to the post-ABBA careers. Because the book is based around the various interviews biographical and historical details are fairly light, dependant on what memories the interviewees shared. This also means that some periods of time are quickly skimmed over, while others are covered in great detail. The interviews are each individual’s uncorroborated memories that are sometimes conflicting and contradictory with each other or even with themselves, or can be out of context with the ABBA story. Despite this they make for interesting reading, as those who were there at the time tell the stories as they remember them. The final chapter features an exclusive interview with Björn Ulvaeus, made a year after the the publication of ABBA On Speaking Terms, in which he addresses a few of the comments raised in that book. Despite the flaws of the concept ABBA – The Inner Circle Interviews is a worthwhile read for its unique perspective on an often-told story, if only for the small peak behind-the-scenes with ABBA. For more information about the book, details on the many people interviewed, and ordering information see the website www.abbatheinnercircleinterviews.com. Book provided by Marisa Garau. The Official International ABBA Fan Club reports that ABBA associate John Spalding died on Saturday 1 October 2011. Spalding was head of Bocu Music, the company that owned the publishing rights to most of ABBA’s songs in the UK and Ireland. Due to his long business relationship and friendship with ABBA manager Stig Anderson, dating back to the start of the 1970s, Spalding became International Vice President of Polar Music International AB in the late ’70s. Spalding became well known to ABBA fans through his regular appearances in the official ABBA Magazine, published in the UK between 1977 and 1983. Get ready to glam, glitz and groove in platform shoes toone of pop music’s most outrageous groups! From the creators of Just Dance, ABBA brings you an unforgettable experience of dancing, acting and singing along with one of the most timeless pop groups on the planet, with more than 375 million records sold worldwide. Re-live the best of 80’s music with ABBA! Dance and sing on centre stage along to 26 iconic ABBA tracks! Step up and performnew choreographies with all-time favourites such as “Money MoneyMoney”, “Dancing Queen”, “Mamma Mia”, “VoulezVous” and “Waterloo”. It’s your time to shimmy and shine with one of the most famous pop groups in history! •Immerse yourself in ABBA’s world and take the stage under the spotlight! Travel to music’s golden age and truly re-live the story of 6 of their most famous tracks to become a star! •The real deal: featuring authentic video footage! The greatest video clips are now available for all to enjoy as you dance your way through time with ABBA. •Love to Dance… But even better… sing? The Classic Karaoke mode allows players who prefer to use their voice rather than their body to join in and party with just a microphone. All the tracks provide song lyrics on-screen –so don’t worry about scoring points as it’s all about the kick you get from singing those all-time hits out loud! •The more the merrier: up to 4 players showing off power moves under the spotlight! All four of you get to dance with the iconic members of ABBA, but you can also have more fun with extra singers joining the party! DANCE, ACT AND SING, with all the frills and thrills! Media release courtesy of Ubisoft Australia. 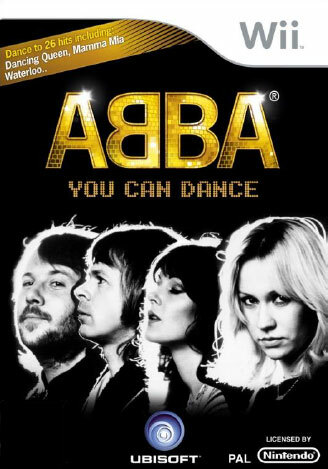 More information at ABBA: You Can Dance.